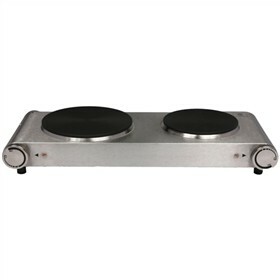 The Nesco DB-02 double electric ceramic burner has two burners, each with 900 watts power. 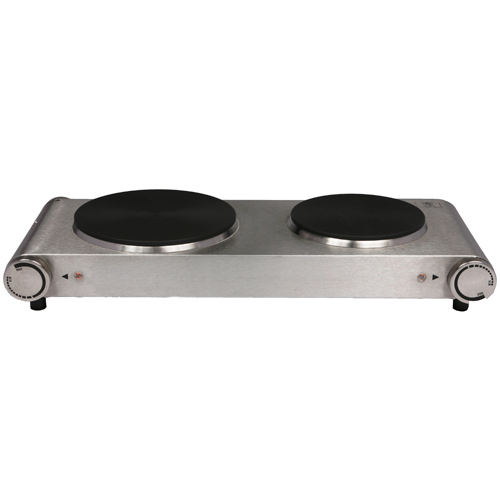 Both burners have separate temperature control, giving option for using one or both of them. Safety features include Auto Safety shut-off and thermal fuse for overheating protection. Additionally the burner features thermostat control with pilot light and skid proof rubber feet. The Nesco DB-02 has many exciting features for users of all types. You can extend the lifetime of your Nesco DB-02 with the purchase of a FactoryOutletStore Factory Protection Plan. The Nesco DB-02 is sold as a Brand New Unopened Item.